Christmas Day Sermon: "Christmas Feast"
What’re you doing for Christmas? Getting together with family? Going anywhere? And of course, the question we all want answered: what’s for Christmas dinner? And…when’re you eating? These are the polite questions that fill our casual conversations this time of the year. But I think there’s something more than well-mannered chit-chat going on in these little exchanges. Whatever food you enjoy at Christmas – be it surf and turf, a secret family recipe, or even tofurkey - these earthly feasts are glimpses of a far greater feast. After all, it’s just not Christmas without a feast. The same is true in Christ’s Church. In the home, matters of taste and tradition rule the day; and you can have a blessed, joyous Christmas with or without them. But in the Church, the feast of the Lord’s Supper is the one Christmas feast we can’t live without, not on Christmas or any other day. John declares a great mystery. The infinite resides in the finite. The eternal has broken into chronological time. The Creator became a creature. God is Man and Man is God in this tiny Child of Bethlehem. The world scoffs: How can this be? The world underestimates God, if it has any estimation of God at all. And it greatly overestimates Man. To become Man is nothing for God, for with God all things are possible. Jesus’ incarnation is one small step for God, one giant leap for mankind. And Christ’s incarnation leads us to another joyous mystery. Jesus, the Word who became flesh for us gives his flesh to us in the Lord’s Supper, the greatest Christmas feast of all. For the real Christmas feast isn’t at our dining room tables, but at the Lord’s Table, where the incarnation of the Son of God comes to us in the Holy Supper. Here’s your Christmas feast. We’re the guests. Jesus is the host, waiter, and food. And every time we receive Holy Communion it’s Christmas all over again. 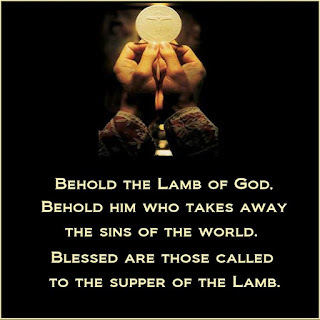 For in the Lord’s Supper, the same Jesus who took on human flesh and was born of the Virgin Mary and dwells with us in his flesh and blood for our forgiveness again and again, as often as we eat this bread and drink this cup, we proclaim his death and his birth for us. After all, his name is Emmanuel, God with us. Nowhere is this truer than in the Lord’s Supper. We confess this great mystery to be true, even though the world – as it did in Jesus’ day –little understands nor tolerates Jesus’ words. No matter. Jesus’ Word remains regardless of our opinions. For while the world has been partying all December, we’ve been preparing in Advent. John the Baptist cries out: cast aside your works of darkness; prepare the way of the Lord; repent, for the kingdom is near. John also beckons us to rejoice; Christ our Passover Lamb has been sacrificed for us. And with John, we look forward to and long for the Christmas feast, no more locusts and wild honey. And while the world rushes to clean up Christmas, inside the Church, the party is just beginning. Christmas is a joyous feast that simply cannot be contained in one day. Our joy at Christ’s birth spills over into a twelve day celebration. Jesus comes to dwell with us because that is what we need. We do not need to be fed an endless buffet of do-it-yourself, man-made religion pointing us to ourselves as our comfort and salvation. We need to be fed Jesus’ body and blood, our true Christmas feast. We do not need the Turkish delight of man’s opinions about what is right and wrong, about what makes Christmas truly merry, or how to find true contentment and peace which always leave us wanting more yet never satisfies. We need the solid food of Christ’s body and the cup of salvation in Christ’s blood. We do not need the decadent desires or empty promises that our sinful flesh and the devil waft before our noses, beckoning us into hell’s kitchen. No. We need Jesus, the Word made flesh for us to feed us heavenly food. And this is exactly what this Child is born to do. In Bethlehem, in a stable, in this baby boy, Isaiah’s words are fulfilled right before Mary and Joseph’s eyes. 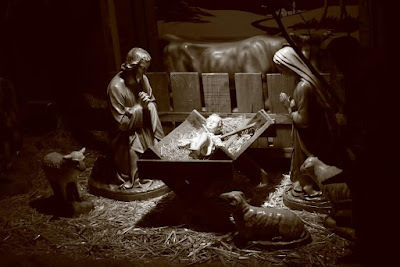 How beautiful in the manger are the wiggling feet of him who bears Good News for you. The Lord comforts us by the crib and cross of this little Child born for you. 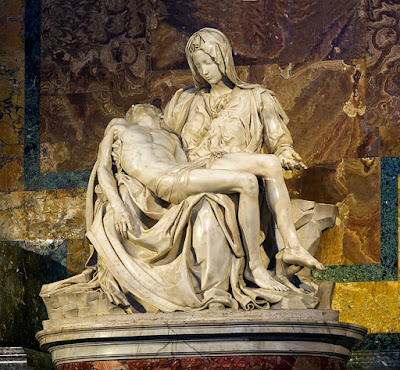 God has laid bare his arms for you, in the Child cradled in Mary’s arms, and stretched out upon the cross for you. And what happened in Bethlehem continues today. God who was made flesh and born of the Virgin Mary for us, remains flesh for us and gives his flesh to us. And so, for us, there’s no need for to go to Bethlehem, except perhaps as curious tourists. After all, Jesus no longer dwells in that manger. But do not despair! The true pilgrimage or journey home to Bethlehem is made to the altar where we receive Christ our Living Bread. Bethlehem means house of bread. And that’s exactly what our altar is: the house of bread. The place where Christ dwells with us and feeds us in the Christmas feast of forgiveness and joy. And wherever Jesus is present with His body and blood for you, there you have the greatest Christmas feast of all. The Word made flesh still dwells among us. For unto us a child is born; and unto us His body and blood are given. Christmas and the Lord’s Supper are wrapped together in the flesh of Jesus. By this holy food Jesus brings his flesh and blood, born for us in Bethlehem to us today in the bread and wine. Jesus is the gracious host, and we’re his joyful guests, gathered to feast in abundance – no need to count calories or carbs here. There’s no such thing as too much forgiveness, or receiving the Lord’s Supper too often. God’s mercy, grace, and forgiveness abound. Like the feeding of the five thousand, we eat, are satisfied, and there’s always more than we need. You see, it’s simply not Christmas without the feast of the Lord’s Supper. It’s also hard to have a Christmas feast without guests. And in Lord’s Supper God unites us with Mary, Joseph, the shepherds, wise men, and all the saints in unending joy before the Word made flesh for us. And as we come before the altar, we kneel and sing with angels and archangels and all the company of heaven. The altar is our heaven. Jesus is the Bread of Life, swaddled in the host and the wine for you, just as he said. Glory to God in the highest and on earth peace, goodwill toward men! And when the Holy Communion liturgy begins it’s Christmas all over again. Here in this sacred Christmas feast we also have an exchange. Jesus takes all that we have – our sin, punishment, and death and gives us all that He has – righteousness, peace, and life. The one whom the heavens and earth cannot contain is contained for us in bread and wine that is his body and blood. The One who gives us daily bread becomes the bread of life for us. The Word made flesh gives us flesh and blood for our forgiveness. Jesus is mangered for you in his Holy Word and Supper, swaddled for you in water and Word, bread and wine. Oh come, let us adore him. Christ our Lord. Christ our brother. Christ our Savior. Christ born for you. Christ who dwells with you, for you, and in you. At last the Christmas feast is here! Come to Bethlehem and see and eat and drink. The table is set. The meal is prepared. Come, for all is ready. The Word is made flesh for you. Christmas Eve Sermon: "A Christmas Journey"
Christmas is about going home. Tonight we sing our Christmas travel songs as we hear and ponder God’s Word on our Christmas journey. For Mary and Joseph, the first Christmas was about going home as well. In those days a decree went out from Caesar Augustus that all the world should be registered…and all went to be registered, each to his own town. With specificity that only a Triple-A travel agent would appreciate, St. Luke lays out the journey from Galilee to Bethlehem. And Joseph also went up from Galilee, from the town of Nazareth, to Judea, to the city of David, which is called Bethlehem, because he was of the house and lineage of David. But Mary and Joseph weren’t the only ones on the road to Bethlehem that first Christmas journey home. 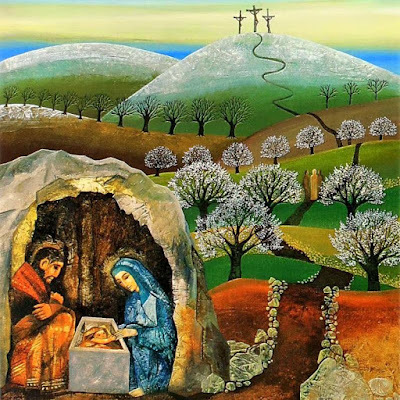 There was a little stowaway in Mary’s womb: The Son of God and Mary’s Son. The King of creation, and our brother. A swaddled Savior born for you. Every kick and contraction, a reminder that soon their little home would grow larger than the number of stars in the sky, just as God promised to Abraham long ago as he traveled to a new home. Yes, Christmas is about going home. Tonight we journey with Mary and Joseph to the manger where God dwells with us and for us. 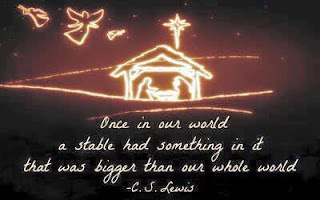 At Christmas, Jesus makes his home with us to give us a new and everlasting home with Him, in his manger and his cross. 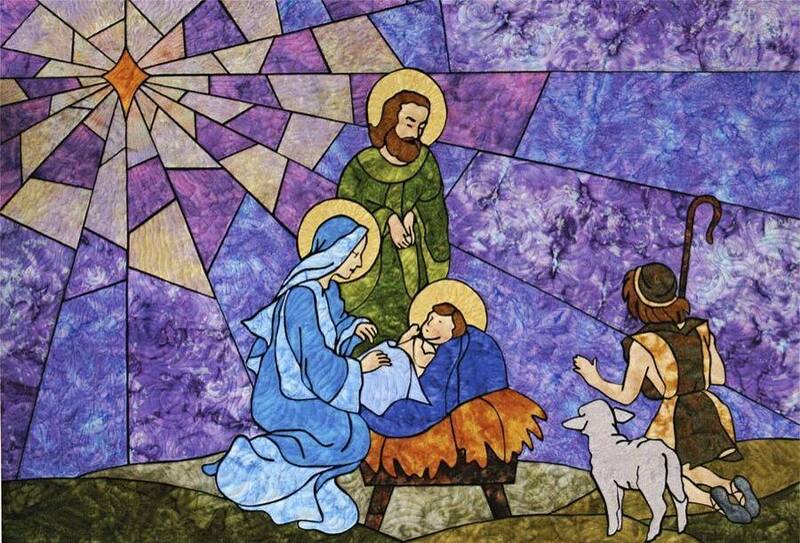 But our Christmas journey home began long before Jesus was born in Bethlehem. Our journey to the gates of a lowly stable in Bethlehem began outside of the gates of Eden. In Genesis 1 and 2, God was as much at home on earth as he was in heaven…walking in the cool of the day with Adam. But all of that changed one day. The serpent led Adam and Eve astray, off the narrow path of God’s Word to the broad path of destruction. Joy turned to sin and sorrow. Peace and perfection gave way to death and darkness. Life gave way to sin and curse. This was beginning of the journey, for Adam and Eve, for us, and for all creation, a bitter reminder that life isn’t always a joyous adventure. Christmas is about going home, but there are many who cannot go home, or if they do, would rather not. Other families wait years or decades, longing to be reunited and celebrate Christmas together. And many others long to be reconciled but are not, many yearn for home but are alone. Divorce. Broken homes. Shattered relationships. Lives torn apart by illness. Death. Guilt over what we’ve done or left undone. Absence. Heartache. Grudges. And the list goes on. Ever since Genesis 3 we’ve been searching for home. We long for things to be right, to experience the joy of Christmas as we wish we could. Perhaps we look for consolation in our work, our pleasures, or anything we can find to fill the void left by our journey in the dark. But it’s all in vain. A constant, nagging reminder that sin has separated us from God. And we cannot find our way back to Eden on our own. It was for a world like this, and for exiles like us that Christ was born in Bethlehem. The road back to Paradise begins in Bethlehem. Christmas is about going home. But it is not we who go out to find God; it is God who comes and finds us. And so the entire Old Testament records God’s grand journey to save us. Noah saved in the Ark. Abraham given God’s promise. Isaac spared the knife by God’s substitute. Moses and Israel delivered from slavery. David, Solomon, Isaiah, and all the prophets – they all longed to see what Mary and Joseph see at the journey’s end in Bethlehem. For Bethlehem was far more than Jesus’ ancestral home. In this little town we find our home as well. God gives us a baby in whom we find refuge. The Son of God makes his home with us to take us home with him. God became our brother to make God our Father. And in that baby wrapped in swaddling clothes we find a home that is big enough to house all of us sons of Adam and daughters of Eve. For in the place where God was homeless, all men are at home. Mary gave birth to her first born son and wrapped him in swaddling clothes and laid him in a manger. But the journey does not end in Bethlehem. The road goes ever on and on, from Eden to Bethlehem, and from Bethlehem to Jerusalem. 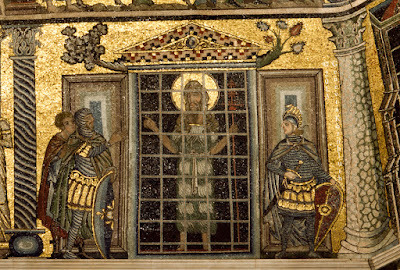 Jesus entered Jerusalem amidst palms and Hosannas. And then like Isaac, Jesus carried the sacrificial wood up the hill. God did not withhold his Son, his only Son from you. 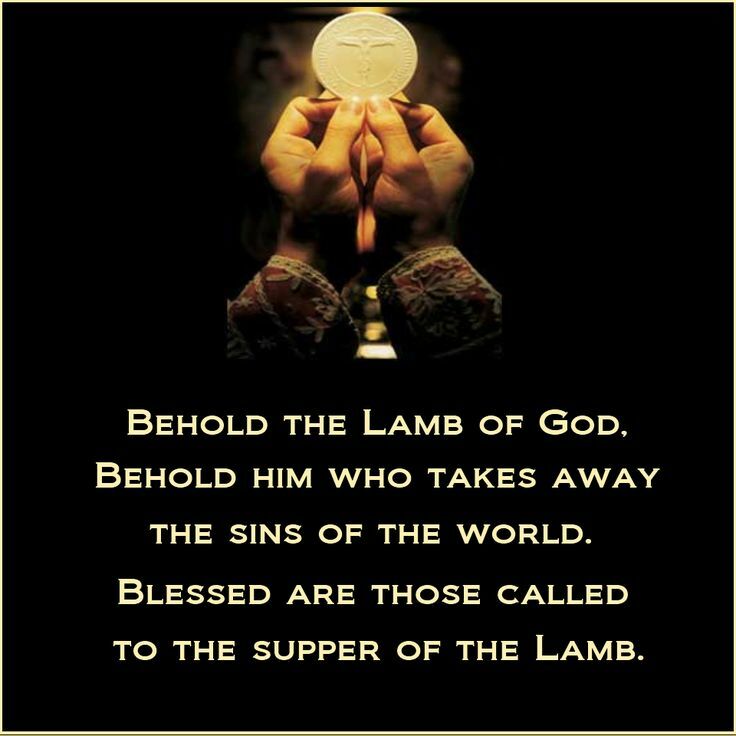 Jesus is the Lamb of God who takes away the sin of the world, for you, for all. And then from the top of Mt. Calvary to the belly of the earth, Jesus’ journey went through the cross and out of his grave. The God-Man born to be King, to rule from his manger to the cross, to travel ahead through death to life for you. In the words of Linus, this is what Christmas is really all about. The Son of God born for me is also crucified for me. So, take the Child from Mary’s neck and put him about your own. For he was not given only to the mother but also to me ( Luther, Sermons v. 58, p.197). Jesus comes to us where we are in barns, caves, mangers, and messes. Jesus lodged with squabbling sisters, corrupt government leaders, tax collectors, and sinners. Jesus came to the homes of rough Galilean sailors and rabbis proud and pompous. And Jesus comes to you. Christmas is about going home. Tonight we join Mary and Joseph, the shepherds, and the magi in rejoicing and praising God for all that he has done for us. For this Christ child has made his home with us to bear all of our hurt, strife, sorrow, and disease. So take it all – your fear, anxiety, doubt, despair, you sin and death – and leave it in the manger, and Jesus will take it all to the cross with him. For this reason Jesus came to make his home with us. Tonight we journey with the shepherds and find the Christ Child just as God promised. And this Child opens the way back to paradise and raises us higher than we fell. Our lost and fallen race finds its way home in Christ. For…the people that walked in darkness have seen a great light: they that dwell in the land of the shadow of death, upon them hath the light shined. Jesus is born for you. Jesus is born to you. So, whoever you are, no matter how far you have journeyed in the dark, now through this Child, you are home. The Father welcomes you home with open arms, as the Christ child rests in Mary’s arms. Rejoice with shepherds and angels: Glory to God in the highest who makes his home with us. And in Jesus, you are no longer homeless. Jesus’ flesh is your flesh; Jesus’ birth is your birth. This little Child leads you to a home that is bigger in Him than the whole universe outside of Him. Our earthly homes may still be messy with papers, toys, dishes, and other kinds of messes that are far harder to clean up. But no matter. This Child has come to take us home to our Father. Christmas is about going home. Jesus makes his home with us to give us a new and everlasting home with Him, in his manger and his cross. 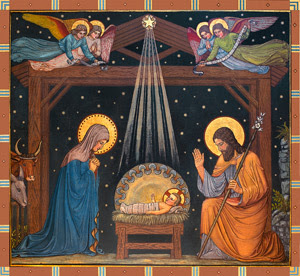 Third Advent Midweek Sermon: "The Holy Spirit and the Holy Child"
Christmas and spirit. Two words that fill our imagination with everything from the three spirits in Charles Dickens’ A Christmas Carol, to the endless quest for capturing the “Christmas spirit” with eggnog, that fresh pine tree smell, or Clark Griswold’s exterior illumination skills. But what of Christ’s incarnation and the Holy Spirit? We confess Christ’s incarnation and the Holy Spirit every week in the Creed. And in Jesus Christ, His only Son, our Lord who was conceived by the Holy Spirit, born of the Virgin Mary. In Advent, the Holy Spirit comes to give us true faith and lasting joy in the Christ Child born of Mary, born to save you. Now, there are plenty of spirits out there: liquid spirits, heavenly spirits, and evil spirits. So, not any old spirit will do. We must be specific. I believe in the Holy Spirit. The Lord and giver of life. Mary is from the root of Jesse. Jesus is the shoot, the fruit of Jesse’s tree, born to save Israel and all nations. 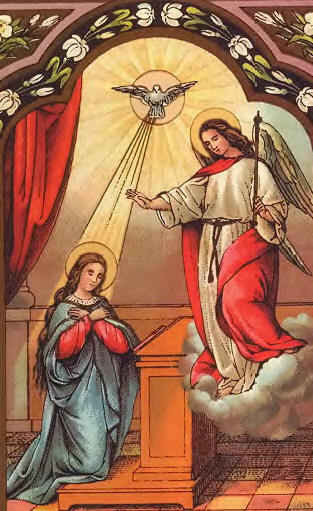 And the Holy Spirit gives growth, life, and faith…for you just as he did for Mary. For in Advent, the Holy Spirit comes to give us true faith and lasting joy in the Christ Child born of Mary, born to save you. Jesus is conceived by the Holy Spirit that we might be born again through Jesus’ birth, life, death, and resurrection. Behold, you will conceive in your womb and bear a son, and you shall call his name Jesus. He will be great and will be called the Son of the Most High. And the Lord God will give to him the throne of his father David, and he will reign over the house of Jacob forever, and of his kingdom there will be no end. If the Father is the Giver and the Son is the Gift, then the Holy Spirit is he who bears the gift and gives us joy in Christ. And yet, one of the great errors of our day is to associate the Holy Spirit and his work with our feelings and emotions. What many take for the Holy Spirit may just as easily be the result of too much holiday cheer or under-cooked Christmas party appetizers. Whatever the case, holiday cheer is not found by staring at our navels. It’s not that emotions are bad – quite the opposite. But our emotions and feelings don’t give birth to faith in Christ. Rather, faith in Christ bears the fruit of God-pleasing emotions and joy. Whenever we place our emotions and feelings at the center of our quest for holiness and the Holy Spirit, we replace Christ as Lord and look to ourselves for wisdom, understanding, and faith. And what poor gods we have made ourselves to worship: fickle and impulsive, always up, down, this way and that. Repent, for all the times our emotions and feelings have ruled and guided our reading of Scripture instead of Scripture ruling and guiding our emotions and feelings. Repent of replacing the joy of the Holy Spirit with our own idols of happiness. And even this – our repentance and joy - are gifts of the Holy Spirit. Therefore, do not be afraid. Rejoice! The Lord has found favor with you, not because of your love, but through His. For the same Holy Spirit who creates faith in us, as he did in Mary, also conceives in Mary’s womb the object of our faith. The Holy Spirit will come upon you, and the power of the Most High will overshadow you; therefore the child to be born will be called holy—the Son of God. With these words Christ comes not only into her heart, but also into her womb, as she hears, grasps, and believes it. No one can say otherwise, than that the power comes through the Word. 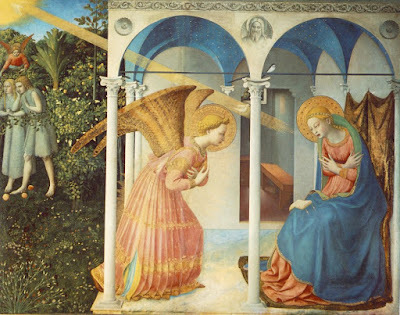 See how Mary’s faith rested, not on her emotions, but on God’s Word. So it is for us. We cling to Jesus’ Word in the Scriptures, in our Baptism, in the forgiveness of sins, and his Holy body and blood – all gifts given to us by his Word. Finding faith and assurance in our emotions is about as healthy as eating nothing but red and green wiggly Jell-O for your Christmas feast. But the Holy Spirit gives our faith a better foundation than our emotions which flip flop between the Grinch and Buddy the Elf. The Holy Spirit points us to Christ, keeps us in Christ, and leads us to Christ like the magi. Gives us joy like the angels. Plants faith in us in God’s word like Mary. So, ponder these gifts and treasure them. For without the Holy Spirit we have no wisdom, understanding, or faith. Without the Holy Spirit, we’re left to wrestle with the spirits of this world who seek to, steal, kill, and destroy. Without the Holy Spirit, we would’ve remained foolish, disobedient, led astray, slaves to various passions and pleasures, passing our days in malice and envy, hated by others and hating one another. And so…the same Holy Spirit who created faith in Mary creates faith in each of us as well, by God’s Word. The same Holy Spirit who overshadowed Mary pours out God’s loving kindness into our hearts in Holy Baptism. The same Holy Spirit by whom Jesus was conceived in human flesh within Mary’s womb, conceives faith in us that we see Jesus’ flesh and blood for us within the bread and wine of his Supper. By the Holy Spirit, Mary heard and believed, and so do we. After all, the Christ child is born not only for Mary, but for you, for all. Unto us a child is born. 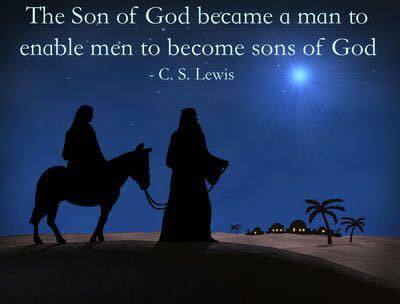 Unto us a Son is given. And the Spirit of the Lord shall rest upon him. And through Jesus and from Jesus, the Holy Spirit rests upon you as well. The Holy Spirit calls, gathers, enlightens, and sanctifies us in the one true faith. And like Mary, we respond in faith, Let it be to me according to your Word. This Advent, the Holy Spirit comes to give us true faith and lasting joy in the Christ Child born of Mary, born to save you. Luther, M. (1999). Luther’s works, vol. 36: Word and Sacrament II. (Vol. 36, p. 341). 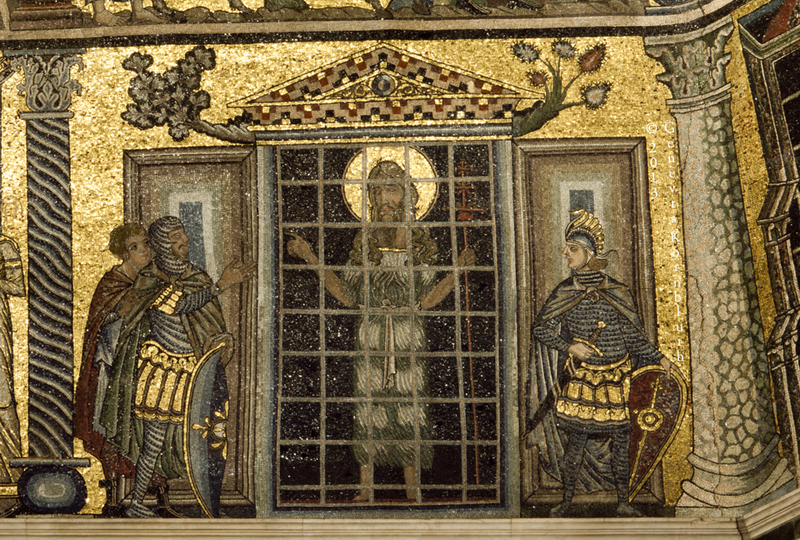 Sermon for Third Sunday in Advent: "Are You the One?" Are you the one who is to come, or shall we look for another? John sends his disciples to ask Jesus this question as he sits in Herod’s dungeon. John was sent by God to proclaim repentance and forgiveness of sins, but prison will not silence this preacher. Though John is held captive, he is free. Though John sits in darkness, he points us to Christ, the Light of the world. If this were a Hollywood movie, we’d expect John’s story to have a different ending. Perhaps a prison break, Great Escape style. Or some miraculous pyrotechnics as angels and glory of the Lord burst into his cell, smash the walls, and then out walks John, not a hair on his camel clothing singed. But this is no Disney movie. John knows that the kingdom of God comes through the cross. Repentance. Preparation. Hope. Longing. Expectation. Joy. All of it comes through the cross. John’s question is finally answered on Good Friday. There is no other One. Jesus is the one who came for John, for his disciples, and for you. In Jesus’ death and resurrection we behold the one who is to come. Are you the one who is to come, or shall we look for another? No doubt John’s disciples wanted to know the answer to this question too. 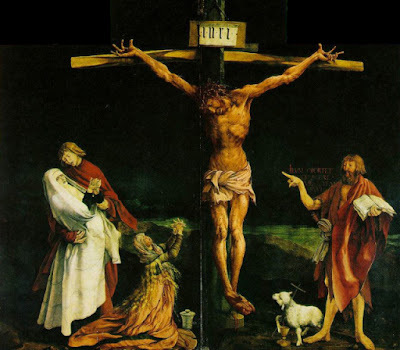 John baptized them, proclaimed to them that the kingdom of God was near; they listened to his preaching: behold, the Lamb of God who takes away the sin of the world. They heard John call the Pharisees a brood of Vipers. And then they saw John carried off to prison for calling Herod to repentance. Perhaps you’ve wrestled with that question in your own mind and heart as you sit in the dark dungeon of doubt, fear, and despair. Maybe you’re even pondering that question this morning, as we’ve witnessed the recent terror in San Bernardino, Paris, and around the world as our brothers and sisters in Christ are martyred every day. And like John, we find ourselves surrounded by darkness even as we rejoice in the light and joy of Jesus’ Advent. For many families, this isn’t the hap-happiest season of all: illness, grief, sorrow. Close friends and family members have died this year or in the past – wounds are fresh around the holidays. The darkness of financial and economic stress looms over us: unemployment, taking care of the family, making rent – don’t even mention the Christmas shopping. There’s the darkness of the unknown: what does the coming new year hold for us? Will I recover? Will we have food? Will we receive new members and share the Gospel? Will we be a light to our community? And then there’s the darkness of sin inside each of us, hounding us day and night. We wrestle with our guilt, shame, and our many sins, which we fight hard to keep locked away in our own dungeons, out of sight, out of mind – like John. Whatever it is that holds you captive this Advent season, whatever prison you find yourself in, whatever clouds of darkness overshadow you, and whenever you find yourself asking the same question John asked: Are you the one who is to come, or shall we look for another? Go and tell John what you have seen and heard: the blind receive their sight, the lame walk, lepers are cleansed, and the deaf hear, the dead are raised up, the poor have good news preached to them. And blessed is the one who is not offended by me. You have the Good News. Jesus is your King. Born for you to ascend to his throne of the cross. The kingdom of God comes through Christ Crucified, for John and for you. John wasn’t the only one to spend some time in prison. Jesus spent three days imprisoned behind bars of earth and stone, only to burst through them on the third day. Jesus was swallowed up by darkness on Good Friday, but death was swallowed up in radiant victory. And you’re not alone in the darkness either. Your doubt, sin, and death are no match for Jesus. You have the Light of the World, a light in the dark places when all other lights go out. You have Jesus’ cross and resurrection inscribed upon your forehead and heart; you are washed, cleansed, and are now a child of the light. You have the word of absolution that casts out your sin, doubt, and despair: be of good cheer, your sins are forgiven! You have Jesus’ body and blood that sets you free from sin, death, and darkness. You have the promise that no matter how bad or ugly things get in the world, Jesus declares, “Fear not, I have overcome the world” for you. You have the confidence that no matter how heavy our guilt and shame are, Christ has born that burden for you. He has made all your sorrows, disease, guilt, sin, and shame – even your death – his own. Satan’s accusations are empty and hollow. You are free. You have the joy that even the lids of our grave are no match for Jesus who died and rose to give us life and light. You receive all this as inheritance in Christ’s kingdom that comes through his cross. This is our joy in Advent, even if you don’t have the “joy, joy, joy, joy” down in your heart on this Sunday called Gaudete. You may feel weak and powerless against the powers and principalities of this world. It may appear that the Herods of this world may have the upper hand. Do not fear. Jesus is the One…for John and for you. The joyous kingdom of God is hidden for you in the weakness of a Virgin’s womb, the manger, the cross, the water, the Word, the bread and wine, so that even in the sorrows of this life, Jesus is with you just as he was with John. Are you the one who is to come, or shall we look for another? YES! Jesus is the one. Jesus came for John. Jesus came, comes, and will come again to save you. he will quiet you by his love. Second Advent Midweek Sermon: "The Great Exchange"
At Christmas we usually want our gifts to be thoughtful, elegant, or personal. But we’ve probably all attended Christmas party where people thought Christmas also happened to be a good time of the year to clean out their closet. You know the drill at these kinds of parties: traditional gifts are taken over by the ugly sweaters, surfing Santa figurines, or toy sheep that shoots M&Ms out of its behind. You may find it fun or unfair. But it’s a gift exchange all the same. Now, what do white elephants gifts have in common with Christ’s incarnation? According to our Scripture readings and Catechism selection this evening, a joyous word: exchange. Christ’s incarnation is the greatest gift exchange in history. For the story of Christ’s incarnation is the story of his death and resurrection for you. Jesus takes all of your sin, punishment, and condemnation and, in exchange, gives us his righteousness, forgiveness, and life. You may think it unfair - and thank God it is! – but it’s a gift exchange all the same. For here, wrapped in our humanity is the one gift that really matters, and endures. Jesus becomes man for you. Jesus becomes your sin. And you become a son, and an heir of heaven. I believe that Jesus Christ, true God, begotten of the Father from eternity, and also true man, born of the Virgin Mary, is my Lord. He has redeemed me, a lost and condemned creature, purchased and won me from all sins, from death, and from the power of the devil. Although, there's twist. Unlike our parties with family and friends, we’re not the ones in the room with the best gifts to offer. Quite the opposite in fact. We come before Jesus carrying our old, worn out, ugly gifts. Our flesh, soiled with the filth of Adam’s sin. Our heart, harder than a rock and black as coal. Our thoughts and desires - scandalous enough to make even the Grinch blush. Yes it’s an unfair exchange alright. Even at Christmas, the only gift we can really give Jesus is our sin. But here’s a Christmas miracle for you, Jesus takes your sin, joyfully. He doesn’t whine or complain that it’s unfair. Jesus gladly exchanges the ugliness of our sin for the radiance of his righteousness. And just like Joseph, the meaning and joy of Christ’s incarnation must be revealed to us. We fail to understand this blessed exchange until God sends his messengers to shine the light of the Gospel into our hearts. Like Joseph, all we have to cling to is God’s Word. And here’s another Christmas miracle, you are given this Word and believe it, by grace, just like Joseph. God’s Word and water of your Baptism. God’s word of forgiveness in the absolution. The Word made flesh present with you and for you in the Holy Supper. By grace, God’s Word was given to Joseph, and by grace, you hear his Word too. And God’s Word comes us overflowing with the greatest news of all. Christ’s incarnation is the greatest gift exchange in history, and it’s all for you. The story of Christ’s incarnation is the story of his death and resurrection for you. And it is unlike any other story, for it is both beautiful and true. God walked and talked, had thumbs, fingernails, and newborn baby smell. God cried, dirtied his diaper, and ate just like every other human baby in history. 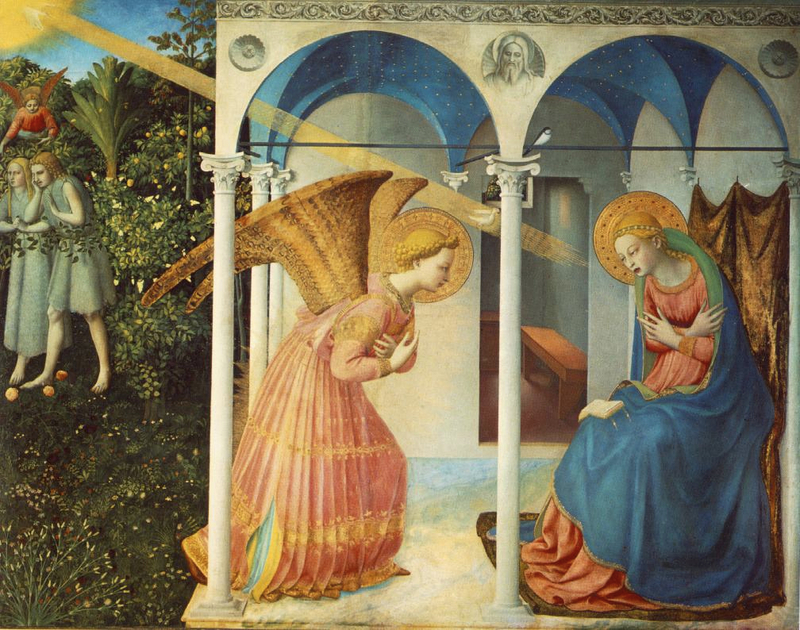 The Almighty God who has infinite, phenomenal cosmic power, chose the itty-bitty living space of Mary’s womb. In the God-Man Jesus, God was heard, seen, and touched. All so that God could die for you, God would know you as brother and Savior. His Name is Jesus, for he will save you from your sins. Jesus is our Emmanuel: God with us. Jesus is our substitute who overcame where Adam was overcome, defeated the devil where Adam was defeated, obeyed the Father where Adam disobeyed…for Adam, and for all of you, sons of Adam and daughters of Eve. One has the picture of a strong man trying to lift a very big, complicated burden. He stoops down and gets himself right under it so that he himself disappears; and then he straightens his back and moves off with the whole thing swaying on his shoulders…God really has dived down into the bottom of creation, and has come up bringing the whole redeemed nature on his shoulder (C.S. Lewis, God in the Dock, The Grand Miracle, p. 82, 87). The word in Scripture for this blessed exchange is “redeemer”. To buy back. Jesus was born to redeem you, a lost and condemned creature, to purchased and win you from all sins, from death, and from the power of the devil. And not with gold or silver, but with His holy, precious blood and with His innocent suffering and death, that you may be his own and live under him in his kingdom. Is it unfair? You bet it is. But this is God’s gracious gift exchange for you. Jesus takes what we deserved and in exchange he gives us what we didn’t deserve, Jesus justifies the ungodly. Jesus declares the last to be first. Jesus welcomes, befriends, and saves sinners like us. Jesus exchanges our sinful flesh, Jesus drowns it in Baptism and sends the Holy Spirit into our hearts crying out, Abba! Father; out with the old, ugly garments of sin, and in with the new garments of Christ’s dying and rising for you. Jesus exchanges our heart of stone, and gives us a new heart that fears, loves, and trusts in him above all things, and loves our neighbor as ourselves. Jesus exchanges our wicked thoughts and desires for the mind of Christ, captive to his cross. Jesus exchanges our death for his life. Oh come to us, abide with us, our Lord, Emmanuel. God with us. God who is one of us. God who is for us. God with us in our humanity. God with us bearing our sin. God with us in our suffering. God with us in our hurt, pain, and illness. God with us in death, and in resurrection. There is no greater gift, no greater joy than Jesus, our Emmanuel. And so today, this season, and always, we rejoice with Joseph upon receiving God’s great gift exchange. And his joy is contagious. It’s a boy! It’s a boy! And not just any boy…but the boy. The boy promised to Eve and all creation. The boy Isaiah foretold. The boy God said would crush the serpent’s head. The boy who lives, dies, and lives again. The Chosen One. Emmanuel. God with us in this manger. God with us in our flesh. God with us to save us. Then, without hesitation, Joseph called his name Jesus, for he will save you from your sins. For there in the crib and upon the cross lies God’s greatest gift exchange for you.